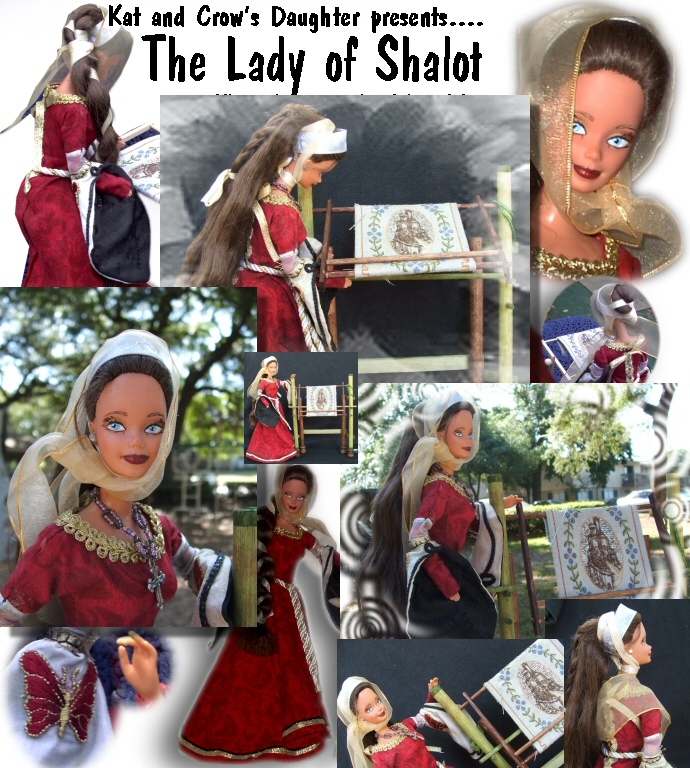 The Lady of Shalot comes with a very fragile loom and hand-sewn outfit, shown here. The Lady of Shalot was a severely abused beauty rescued from a garage sale. For a year, she lurked in the abused fashion doll shelter (a big box in my closet), waiting for her chance. When the Barbie Bazaar Fashion Doll Contest began to roll around again, Miaren Crow's Daughter said, "Let's help this girl become a star." She is a Mattel Theresa, possibly from the late 1980's to mid-90's. Her face has been completely resculpted for a more pleasant expression. She has been completely repainted to have baby blue eyes and deep maroon shades of make-up. Lots of research has been put into her clothing. Her hair has been braided and ribboned in the traditional, early medieval style. She wears a traditional scarf over her head - nice ladies don't show their hair! 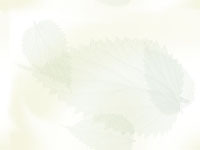 Her dress is a traditional medieval-style gown with bell sleeves and is non-removable. The backs of her sleeves are decorated with butterfly embroidery. Her belt is adorned with a golden leaf - the detail is exquisite! Her loom really moves and shows off her work; the castle of Camelot. Her arms and hands have even been reshaped to give her a working appearance. Now living in New Mexico!